It is a rekha Deul of triratha variety in sand stone. The ground plan is star shaped. Internally the cella is square with a rectangular Mukhamandapa or Jagamohana. The Temple is richly decorated, the themes being creepers, scroll work and stylised chaitya window. 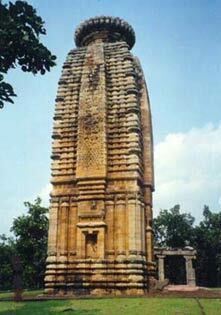 The Temple is datable to c.11th century AD.